Described below are some of the products (including flour) created directly from various grains. 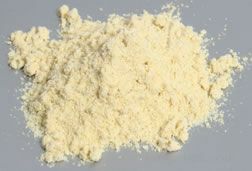 Other than a few exceptions, products that are created after the grain has been ground into flour are not described, because they are so numerous. Amaranth grain is processed into ready-to-eat cereals that may be found in health food stores and specialty shops, especially outside of the United States. 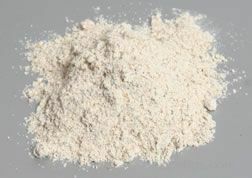 Amaranth flour is amaranth grain that has been milled into a powder. 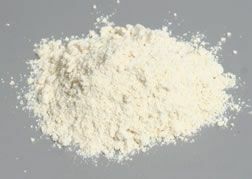 Although the flour contains very minute amounts of gluten, it is most often processed and marketed as a gluten-free flour product. 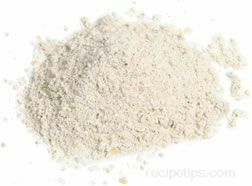 Because of the lack of gluten in the flour, other types of flour that contain gluten must be added to amaranth flour when preparing yeast breads. Hulled barley is, perhaps, the most nutritious form of barley available. This is because only the outer husk of the barley grain is removed leaving the bran, germ, and endosperm intact. Also known as barley groats, hulled barley is very nutritious and is rich in fiber. Hulled barley requires a lengthy cooking time, but it provides a chewy texture and rich nutty flavor to soups, stews, broth, pilafs, and stuffing for vegetables, such as sweet bell peppers or zucchini. Other forms of barley that can be substituted in recipes include pearl barley and barley grits, but the cooking time is usually less than it is for hulled barley. Barley grits are kernels of barley that have been roasted and cracked. This is done so that the barley requires less cooking time. Barley grits can be found in most well-stocked food stores. Pearl barley refers to whole kernels of barley grain that have had the bran removed; then the kernels are polished four to six times, which creates a smooth surface and a pearl-like finish. The polishing makes the grain easier to cook and digest. It is available in coarse, medium, and fine sizes. It is also available in regular and quick-cooking forms. Pearl barley is most often used in soups, stews, and casseroles. 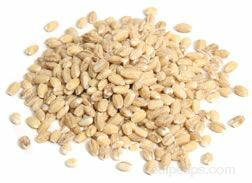 Barley flakes are a commercially prepared barley product in which the grains are processed by steaming and flattening. This process allows the barley to cook at a faster rate. 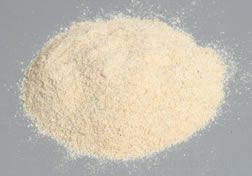 Barley flour is usually milled from "pearled" barley, which refers to barley grains that have been scoured and polished to remove the husks and the bran. Barley flour does not contain enough gluten for dough to rise effectively, so a gluten-rich flour, such as wheat flour, is often added to the barley flour when preparing yeast breads and baked goods. Quick-cooking barley is a type of processed barley in which the grains have been cut into several pieces and then steamed and rolled into thin flakes. Because the flakes are thin and small, they cook up very quickly. Quick-cooking barley is available in large well-stocked food stores. Barley malt syrup is a grain syrup and food sweetener made from sprouted barley that has limited use in general baking. It is used more often for the production of beverages, such as beer. This is because of several characteristics of barley malt syrup that make it suitable for this purpose: the concentration of enzymes that are used for the conversion of starches to sugar, the rich supply of protein for the yeast, and its distinctive malt flavor. When purchasing barley syrups, there may be several varieties from which to choose. Among these varieties are syrup produced from 100% barley malt, syrup produced from equal parts barley and corn malt, and syrup produced from a mixture of barley malt and rice malt, which is commonly sold as rice syrup. Barley malt syrup should be stored in a cool dry area at room temperature. It may also be referred to as barley syrup, malt syrup, dark malt syrup, or malted cereal syrup. 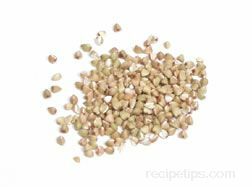 Buckwheat groats are kernels of buckwheat that have been hulled. When the groats are roasted, they are known as kasha, which is a staple food in Eastern Europe (especially Russia). Roasted buckwheat groats have a darker color and a stronger flavor than unroasted groats. Both roasted and unroasted groats are available commercially. 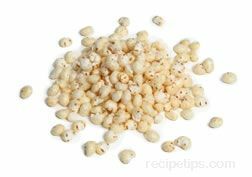 It is often beneficial to buy unroasted buckwheat groats and then toast the kernels yourself. Home roasting provides a fresher flavor, and the degree of roasting can be controlled. Buckwheat flour is a variety of gluten-free flour produced from grinding the seeds (grains) of the buckwheat plant. Because it contains no gluten, buckwheat flour must be added to wheat flour for use in yeast breads; otherwise, the bread will not rise. Whole buckwheat is used to mill a buckwheat flour know as "Supreme," and hulled buckwheat is used for the production of "Fancy" buckwheat flour. Farro is an ancient Italian grain that is similar in taste to barley. In the United States, farro is known as a type of spelt or wheat. Most people consider farro to be a type of wheat and although they are related, farro is of a different species. In European countries, farro flour is often used for pasta, polenta, and bread recipes. Pasta made from farro flour is available in many shapes and sizes. It is especially popular in European countries. Farro pasta is more fragile than pasta made with durum wheat, so it must be handled with care when preparing it. 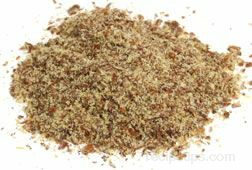 Flaxseed meal is coarsely ground flax seed. It can be added to many cooked and uncooked dishes and it can be used as a fat substitute or thickening agent in some recipes. Flaxseed can also be ground, packaged, and sold as a coarse, oily flour. When using this nutritious flour is used in yeast breads, it must be combined with wheat flour; otherwise, the bread will not rise. Flaxseed oil is obtained from the seeds of the flax plant. When it is processed, the seeds are first cold pressed to obtain the edible oil. Flaxseed that is hot pressed is used for the production of industrial oils and solvents. 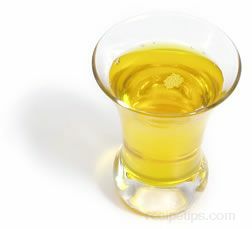 One of the oils, known as linseed oil, is not an edible oil. Flaxseed oil has a smooth, buttery flavor, which makes it ideal as a salad oil or as an addition to cooked vegetables. Since the flaxseed oil has a very high level of omega-3 fatty acid (a polyunsaturated fat that may reduce the potential for stroke and heart disease problems), it is most often used as a nutritional supplement rather than for cooking. Kamut® flour is milled from whole-grain Kamut® wheat. Like other wheat varieties, it can be used in the preparation of numerous baked goods. Kamut® flour contains gluten, so it can be used to produce risen breads. Kamut® flakes are made from whole-grain Kamut®, which has been heated and rolled in order to flatten the grain into a flake form. 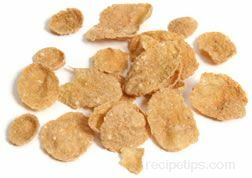 The flakes can be used to prepare hot cereal, or they can be used as an addition to various baked goods. The flattening process allows the grain to be cooked up in a shorter time. Other products made from Kamut® wheat include commercially prepared ready-to-eat breakfast cereals, crackers, and breads. Millet seeds can be ground into flour, but since the flour is gluten free, it must be combined with high-gluten flour when it is used in the preparation of leavened breads. Millet flour adds an exceptionally sweet flavor to baked goods. Puffed millet is sold as a ready-to-eat cereal and is available in some health food stores and specialty shops. 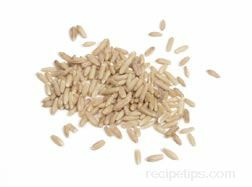 Oat groats consist of grains that have been hulled and cleaned and are sometimes roasted. Oat groats have a sweet, nutty taste with a slight hint of pecan flavor. The groats are often used in pilafs, soups, and salads. About a half hour is required to properly cook the groats. The best way to store oat groats is in an airtight container in a storage area with a cool temperature and low humidity. When stored in this manner, the oat groats will keep for about a year. Steel-cut oats are oat groats that have been cut into smaller pieces. This technique helps to reduce the cooking time to about fifteen minutes, which is less than half the time required to cook oat groats. 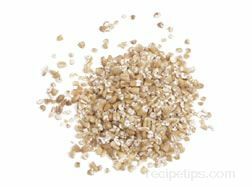 Other names for steel-cut oats are pinhead oats, Scottish oats, and Irish oats. Steel-cut oats should be stored in an airtight container in the refrigerator where they will keep for about three months. If stored in the freezer, steel-cut oats will keep for six months or longer. 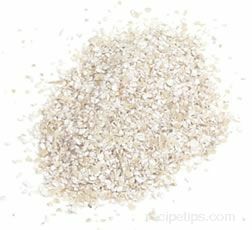 Oatmeal is a cereal ground from hulled and cleaned oats. It can be cooked and served as a breakfast cereal or it can be used as an ingredient for various baked goods. 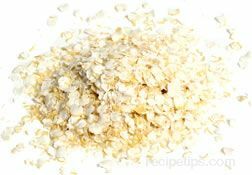 Old-fashioned rolled oats are a form of oatmeal, which are large flakes requiring only a few minutes to cook. Quick oats, which are small, cut flakes, also require only a few minutes to cook. Both types of oatmeal can be interchanged when baking. 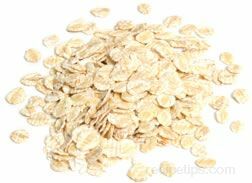 Oatmeal is also available as instant oatmeal, which is made up of very small cut flakes that are precooked and dried. The flakes require minimal cooking but are not recommended for use in baking. Old-fashioned oats are a commercially prepared oat product processed by steaming and flattening, which allows them to cook at a faster rate. Some brands of old-fashioned rolled oats are also roasted to provide additional flavor. 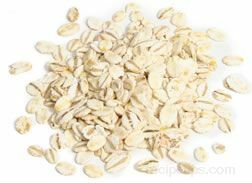 If stored in a tightly sealed container in a cool dry area, old-fashioned oats will keep for about two months. When stored in the freezer, they will keep for several months. 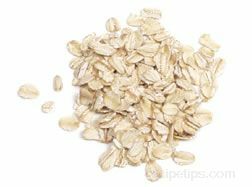 Old-fashioned rolled oats are also known simply as rolled oats or oatmeal and are often used for quick-cooking types of breakfast cereals, as well as in muesli, granola, breads, scones, and cookies. 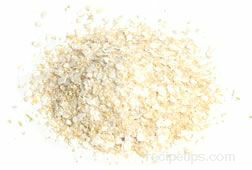 Quick oats are a type of oat product that is very similar to old-fashioned rolled oats, except that they are cut more finely. 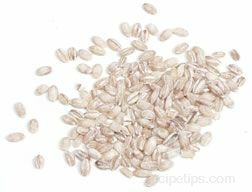 Quick oats are cut into several pieces and then steamed and rolled into thin flakes. Because the flakes are thin and small, they cook up very quickly, requiring about 5 minutes cooking time compared to the 15 minutes required for steel-cut oats. 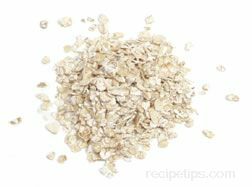 The quick oats loose a little flavor but maintain their nutritional value. Quick oats are often used in a variety of baked goods and as a hot cereal. Instant oats, also known as instant oatmeal, are a commercially prepared oat product in which the oats are precooked and flattened and are then enhanced with salt or sugar or other flavorings. The only preparation required for the home cook is to add boiling water to the instant oatmeal, which creates a hot breakfast cereal. Oat flour is produced by milling a type of oats, known as oat groats, which have been hulled and cleaned. 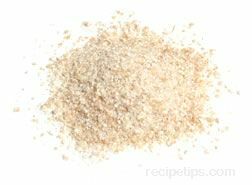 Oat flour can also be ground from rolled oats or oatmeal. Since oat flour is low in gluten, it must be combined with wheat flour to produce leavened bread. 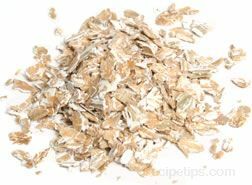 Bran is removed from some oats during processing and is then ground into a meal that is sold as a separate product. Through a number of medical studies, it has been discovered that oat bran is beneficial in reducing the level of cholesterol in the body. Oat bran can be stored in an airtight container almost indefinitely, because the absence of the germ portion of the grain increases the shelf life. Oat bran is most often used as an additive in muffins, breads, and cereals. Like other types of grain, flakes made from quinoa grain are produced by a process of rolling and flattening. The flattened grain cooks at a faster rate than unprocessed grain, so the quinoa flakes are much more popular with the home cook. Quinoa is flour produced from grinding quinoa seeds into a powder. 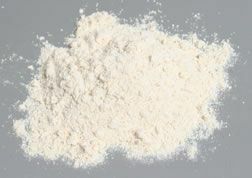 The flour is rich in protein and nutrients, especially amino acids. Quinoa flour is most often used for making breads, biscuits, cookies, crepes, muffins, pancakes, and tortillas. Since it contains no gluten, quinoa flour must be combined with wheat flour when baking yeast breads. Quinoa is also used to produce ready-to-eat cereals and hot instant cereals (similar to instant oatmeal varieties). Quinoa cereal is available in a number of different flavors. It is becoming more popular in the United States and can sometimes be found in large well-stocked food stores. Pasta products made with quinoa flour rather than wheat flour are a good alternative for people who enjoy pasta but are allergic to wheat. 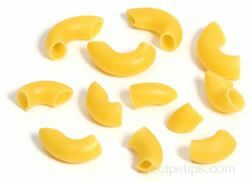 Like wheat pasta, quinoa pasta comes in a variety of popular pasta shapes. When making quinoa pasta, corn is often added to the quinoa flour for added flavor and texture. Rye flakes are made from whole rye grain, which has been heated and rolled in order to flatten the grain into a flake form. Like other types of grain flakes, rye flakes cook much faster than whole-grain rye. Rye flakes are used in cereals, breads, soups, stews, casseroles, granolas, and trail mixes. The flakes are also used in brewing beer. 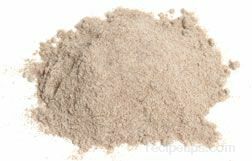 Rye flour is produced from milling the whole grains of rye into a powder. 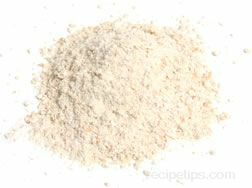 Like most other types of flour produced from grains, rye flour may be ground into varying degrees of fineness ranging from coarse to very fine. The type of protein necessary for gluten formation is lower in rye than wheat, but it is higher than in most other grains. Still, even with its fairly high gluten content, rye flour is often combined with wheat flour when making yeast breads. Sorghum grain is often milled into flour, but it lacks gluten, so it isn't suitable for making yeast breads. In India, sorghum flour is used for chapatis, which is a popular unleavened flatbread. Sorghum syrup is produced from the sap obtained from the stems of the sorghum plant. There are some varieties of sorghum that are cultivated strictly for the production of syrup, while other varieties are not suitable for syrup production and are used for other purposes, such as animal feed or grain for humans. 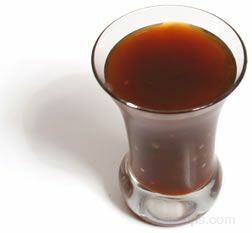 Sorghum syrup can be used like maple syrup or molasses and the flavor and texture is very similar to molasses. It was very popular in the United States in the first half of the 20th Century, especially in the South. 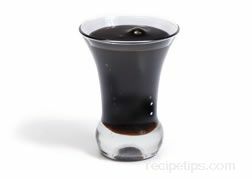 Sorghum syrup is used much less frequently today, due in part to the large variety of inexpensively priced syrups that are on the market. Because the sugar content of the sorghum plant does not completely crystallize, it cannot be made into a solid sugar. Sorghum syrup can be used on hot cereal, pancakes, waffles, or French toast, and it also can be used as a sweetening ingredient for baked goods. Spelt flour is milled from whole-grain spelt and is used for numerous baked goods including risen breads. Spelt flour contains gluten, which is necessary for bread to rise properly. 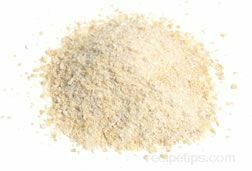 Spelt flakes are made from whole-grain spelt that has been heated and rolled in order to flatten the grain into a flake form. The flakes can be used to prepare hot cereal or as an addition to baked goods. The flattening process allows the grain to be cooked in a much shorter time than whole-grain spelt. Other products made from spelt include a variety breads, crackers, and ready-to-eat breakfast cereals. Whole-grain teff grain is often prepared as a type of porridge. It can also be made into a type of polenta, because after cooking, the stickiness of the grain allows it to be easily formed into a loaf shape or any number of shapes that will hold up well. In Ethiopia, where most of the teff is grown, teff flour is a staple food product. Flour milled from white teff has a milder flavor than flour ground from red or brown varieties. In Ethiopia, Teff flour is most often used for a thin, very sour flatbread called injera. 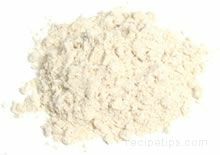 Triticale flour is ground from whole-grain triticale and is used for numerous baked goods including risen breads. Triticale contains gluten, which is necessary for bread to rise properly. Triticale flakes are made from whole-grain triticale, which has been heated and rolled in order to flatten the grain into a flake form. 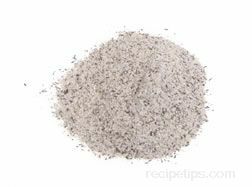 The flakes can be used to prepare hot cereal or as an addition to various baked goods. The flattening process allows the grain to be cooked in a shorter time than whole-grain triticale. Other products made from triticale include breads and ready-to-eat breakfast cereals.